This summer, UIBK biometerology researchers set up equipment at the Torgnon grassland site in Northern Italy. 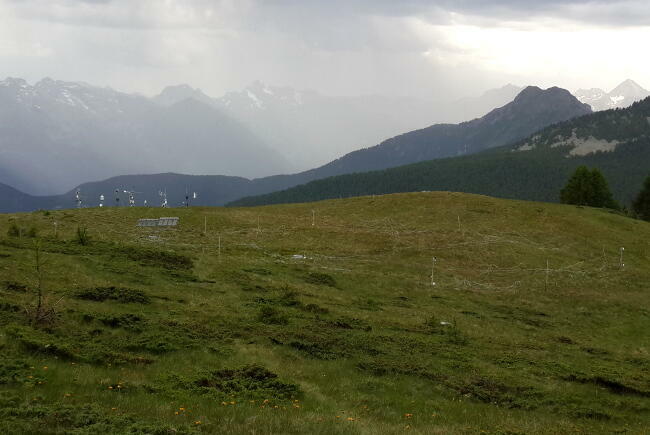 This extended campaign aims to better understand the role of advection in ecosystem carbon dioxide exchange within complex terrains, such as mountainous grasslands. Due to the difficult site access, the equipment was delivered by helicopter. To read more about this project, click here.